Didn't you know? Cool characters wear glasses. And have yogurt on their faces. On Thursday afternoon, Stella’s eyes started rolling in again. All our questions evaporated. She has emerging accommodative esotropia. She really needs glasses. And that’s that. So on Friday morning, we skipped Gymboree and went to find specs for Stella. She tried on three pairs. Go ahead and judge me–I’ve watched “Say Yes to the Dress” once or twice. And our trip to the optical shop, in the Children’s Eye Care office in Kirkland, was a lot like that show. Except instead of catty commentary in the air and mimosas in our hands, there was extremely enthusiastic, high-pitched encouragement and a light-up spinning ball wand (which, somehow, is almost as intoxicating as OJ and bubbly). The first and second pairs were total disappointments. Which in hindsight was perfect. Great for building suspense (and ratings). And then, as if scripted, we found the ones. They are French and fabulous. They are blue (also clear, white, purple and green) and if I described them in any detail, they would just sound crazy and over-the-top. But they are not. They work. Tim Gunn would most definitely approve–in fact, I bet he’d be super jealous. I am. As soon as the optician put those beauties on Stella’s face, she and I both knew. We just knew. We didn’t cry tears of joy, but we should have. Because audiences eat that up. Her Parisian pair will be ready on Wednesday or Thursday of this week, barring any issues. You will want to wear glasses if you don’t. You may even view Stella as a budding fashion icon. * Stay tuned for the big reveal! * All of this is assuming I’m able to get the glasses on her face for more than three seconds (the current record during try-ons). 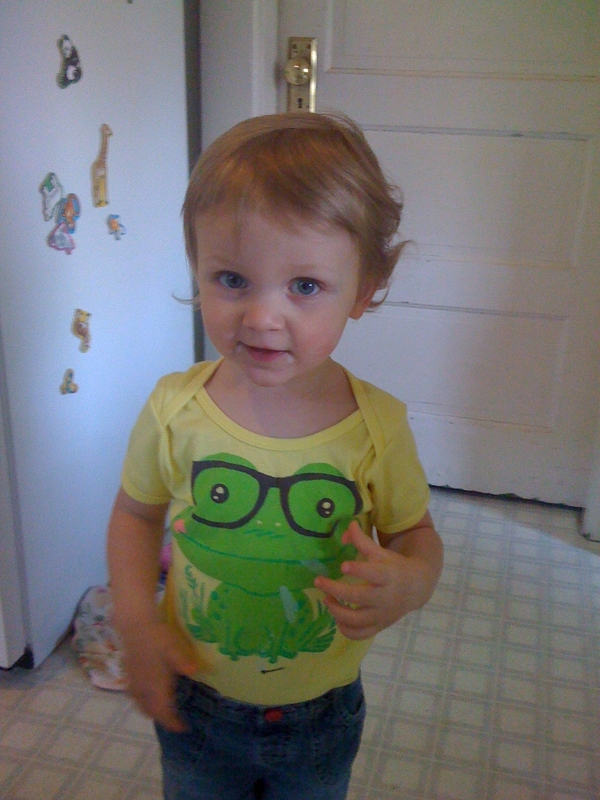 This entry was posted in Family update, Stella's eyes, toddler and tagged accommodative esotropia, children's eye care, glasses, molly moon's, toddler. Bookmark the permalink. 6 Responses to Strabismus confirmed. Glasses ordered. Can’t wait to see how beautiful she looks!! Love your writing. Thanks for sharing the adventures of your motherhood journey! Many thanks, Meg. Can’t wait to show off her new look! That’s okay, consider it a blessing since you are able to correct this problem at an early age. Besides glasses are not a bad thing, in fact it is fashionable and adds beauty to the person.